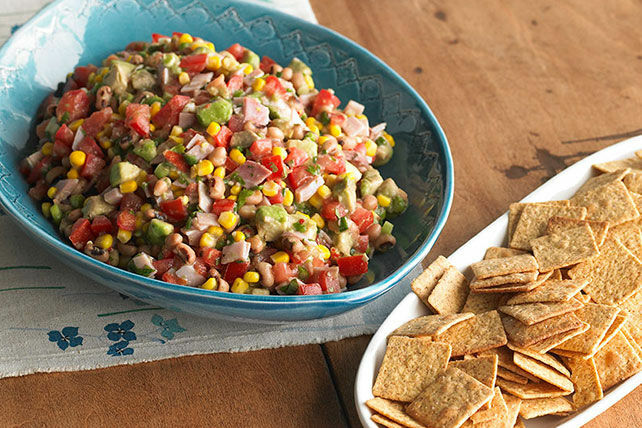 Cowboys (and cowgirls) are sure to go for this super-flavorful salsa with fresh vegetables, finely chopped savory ham and zesty Italian dressing. Prepare using KRAFT Balsamic Dressing. Serve as a salad. Toss with 1-1/2 qt. (6 cups) torn mixed salad greens just before serving. Or, serve on lettuce leaves. Makes 12 servings.